"Imagine a city in which vehicular autonomy is widespread." With this as our prompt, we set out to research potential applications of vehicular autonomy, and designed a city-level system in which autonomy serves as the foundation of services that bring people together as a community. Fiat Chrysler Automobiles partnered with the Industrial Design program at Carnegie Mellon University for this 16-week research project. We began by examining how people interact with their cars today, and saw that people view their cars as private and social spaces, as well as mobility tools. Through physical exercises, participants generated ideas to discuss what is important in leisure and work spaces. 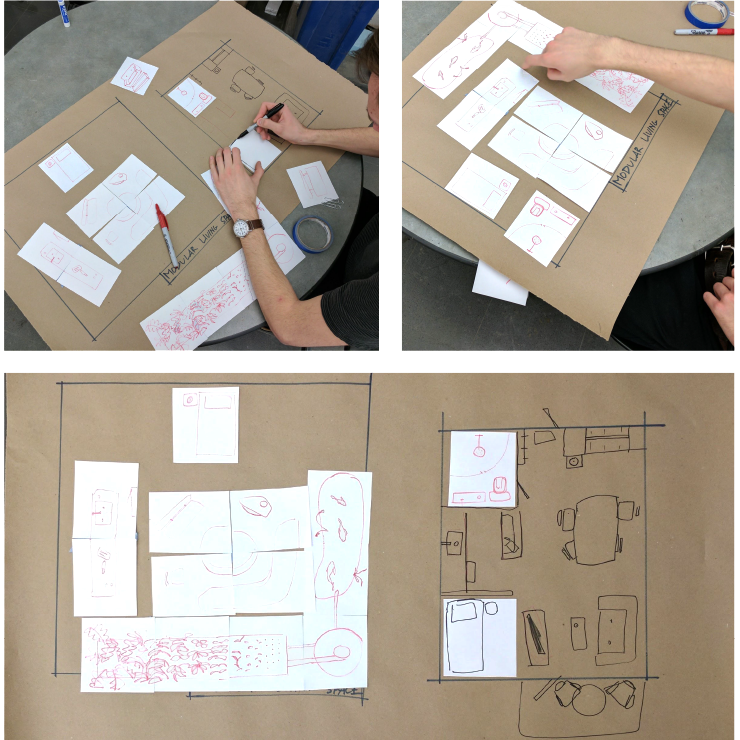 We learned to consider spaces as flexible platforms for social interaction. Many found it important to retain a connection to the outside environment. 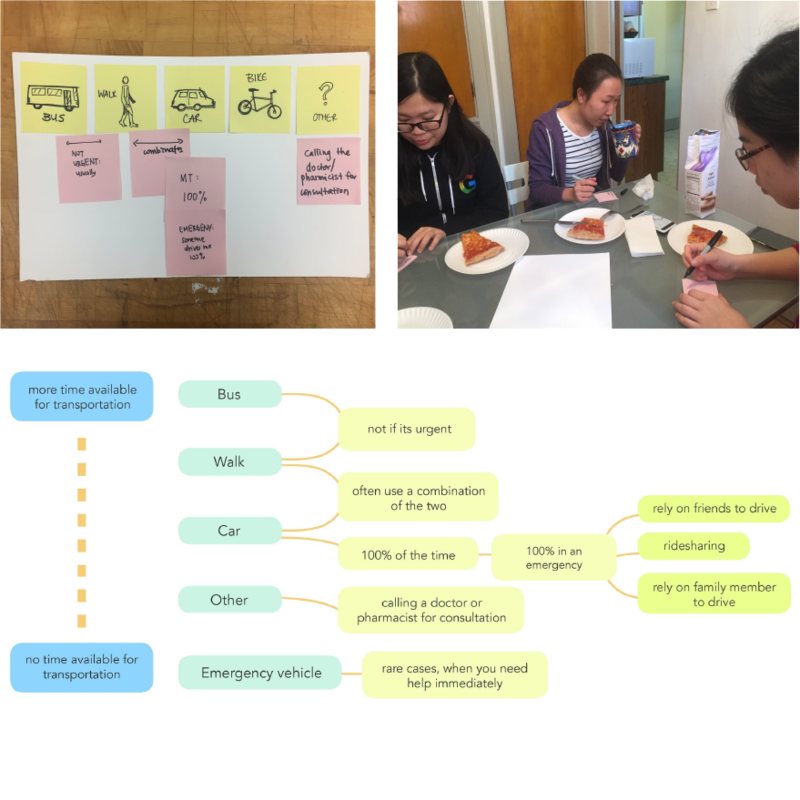 By following “Joe” in this day-in-the-life scenario, we see how various services exist in context and how they interact with the user and with each other. We developed narratives like this to explore the concepts we learned and to understand what interactions happen when certain values are prioritized. We chose three services from our explorations to research in more depth. Private areas are important, but flexibility is the priority in a small space. Services such as food delivery can lessen the space requirements of a living area. Autonomous transport systems could help food become more locally sourced. Future technology can improve access to food by providing instant delivery of foods to communities. Participants were asked to talk about the people and technology involved in getting to a hospital. The preferred mode of transportation varies based on what is available and how urgent the need is. To bring these services together, we framed them in the context of a community. 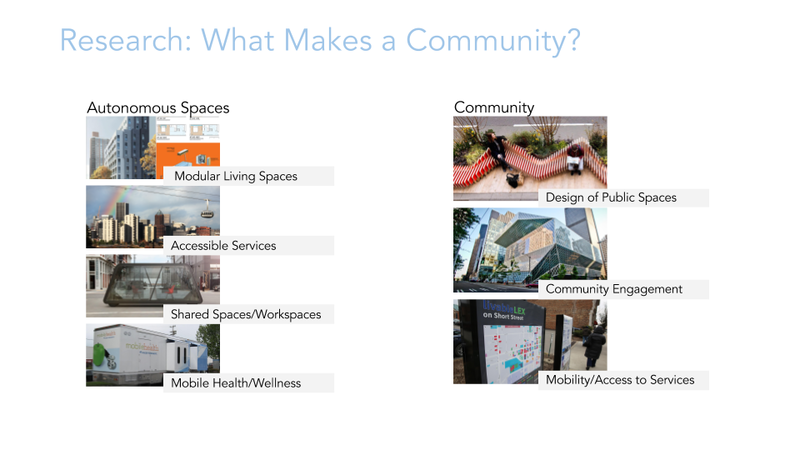 Here, autonomous spaces serve as platforms for services that support a community of any size. This drawing shows autonomous spaces providing mobility, community space, and mobile health and wellness services to meet most of a community's needs. 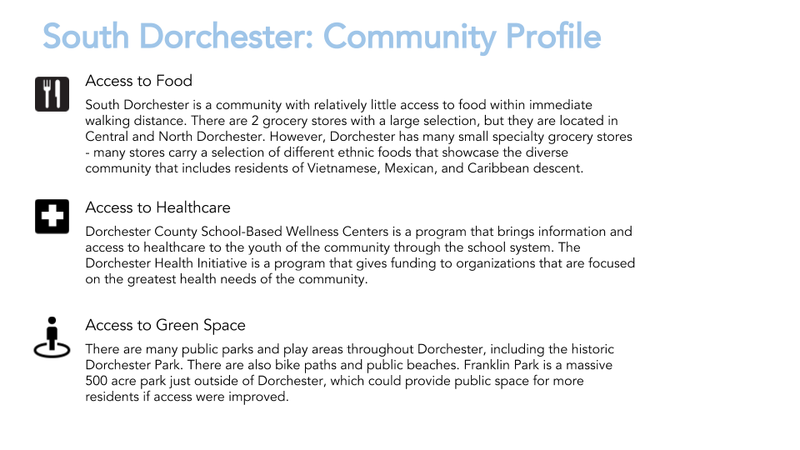 To explore this idea of a community supported by services, we researched present day systems, branching out from the vehicle scale to explore everything from micro apartments in NYC, to accessible healthcare in Portland, to mobile health services around the world. We looked into the fundamental building blocks of a happy and successful community to understand how to incorporate autonomous platforms into communities through living spaces, working spaces, and services. We created our video with stop-motion paper animation, to allow the viewer to focus their attention on the services that the platforms provide, rather than the vehicles themselves. We sent weekly progress reports to FCA during our research process. This is an example of one of our reports, in which we finalized our research by choosing a video setting, and prepared to begin video production.